Stop sweating naturally; stay cool whether it is hot or you are under pressure with this powerful subliminal messaging album. Do you naturally sweat excessively? Is your sweating made worse by hot weather? Would you like to reduce your sweating and to stop worrying about it? If you are really sick of being embarrassed by your sweating and want a natural solution then our subliminal audio can help you. It contains specific subliminal statements which penetrate into your mind to put your mind in control and ultimately stop you from sweating excessively. Sweating normally helps the body stay cool, but excessive sweating occurs without triggers such as physical activity or warm temperatures. Currently there is something within your mind not quite "wired" correctly, so your mind is sending signals to your sweat glands to produce sweat when it is not required. 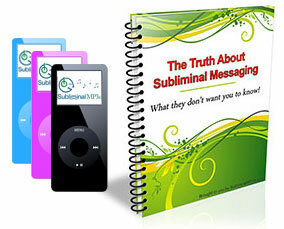 Our subliminal messages penetrate your mind and stop it from sending these signals when they are not needed. Once this process is broken then you will gradually start to sweat less and less until you are at a normal level - only sweating when doing exercise for example. This album can help you to change this process effortlessly. Soon after you first start using the album you will notice that you naturally start to worry less and stay calm and relaxed under pressure. Not thinking about whether you'll be embarrassed or not will significantly reduce the pressure, removing one important trigger for excessive sweating. After a couple of weeks you will notice a considerable difference in how much you sweat and these changes will build and build until your mind is normal in this respect and is sending the right signals. You will soon start feeling like the rest of the world, free to wear and do whatever you feel like. After a while you'll even be able to forget that you ever had this problem! Take back control of your sweating and control of your life with this life changing subliminal album today! This album works best when combined with our Subliminal Stress Relief and Mind Relaxation Subliminal albums, which specifically focus on relaxation of your mind and body.